The Wheat Penny was circulated from 1909 to 1958 and featured an image of Abraham Lincoln on the front and two shafts of wheat on the back. The Wheat Penny got its nickname from the shafts of wheat, which were replaced with an image of the Lincoln Memorial in 1959 to honor the 150th anniversary of Lincoln's birth. Wheat Pennies are highly collectible but most--including the 1947 issues--are not very valuable. If you come across a 1947 Wheat Penny, don't get too excited. 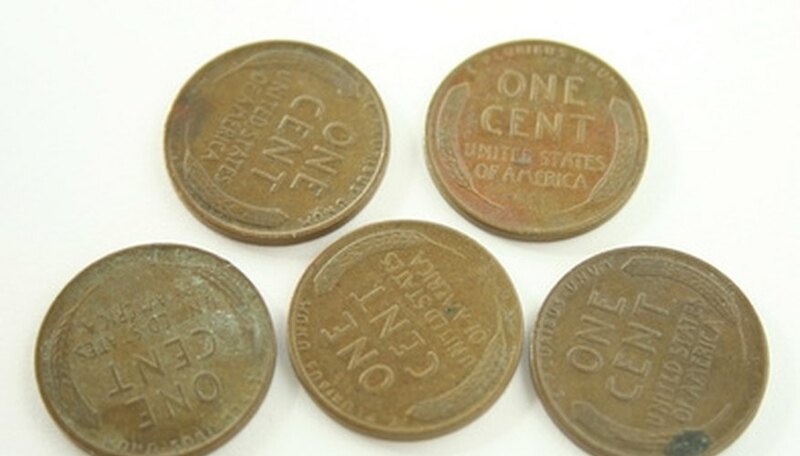 The pennies had a large circulation that year with 195 million (1947), 191 million (1947-D) and 99 million (1947-S). According to the Red Book, the most-respected book on coin values, a 1947 Wheat Penny in very good condition is worth about five cents (which is what a dealer would pay for one). Since the S is the rarest--and not very rare at that--it would be worth slightly more than the others. The value of Wheat Pennies is based on their condition and the number of coins circulated in a given year. The most common penny is the 1958-D with a circulation of 801 million and the rarest is the 1909-S VDB with a circulation of just 500,000 (coins with a D were made at the Denver mint and coins with an S in San Francisco). The 1909-S VDB--imprinted with the initials of its designer--is the most valuable Wheat Penny and a coin dealer would give you $550 for one in good condition, and several thousand dollars for one in mint condition. Other valuable Wheat Pennies include the 1914-D, the 1922 and the 1931-S, which all had a circulation of under one million. There are two ways to go if you want to amass a complete collection of Wheat Pennies. You can take the inexpensive route and buy some of the rarest coins like the 1909-S and the 1922 in any condition you can find them, which will still cost several hundred dollars each--even if they are very worn. With the exception of seven or eight of the coins, you should be able to buy most Wheat Pennies for under a dollar. If you are buying Wheat Pennies for both a collection and as an investment, you should opt to spend more money and buy coins in fine, very fine or near mint condition. Rare coins in fine and near mint condition tend to increase in value much faster than the same coin in fair or good condition.